Choosing sustainable seafood means the seafood is harvested in a way that doesn't harm other sea creatures or harm the ecosystem where it is found. The species aren't overfished so they can be enjoyed by future generations. This benefits chef, consumers, fishermen, and the environment. This is my Top Ten list of eco-friendly seafood choices that are not only good for the future of fishing but also very delicious and healthy products for the dining table your whole family can get excited about! 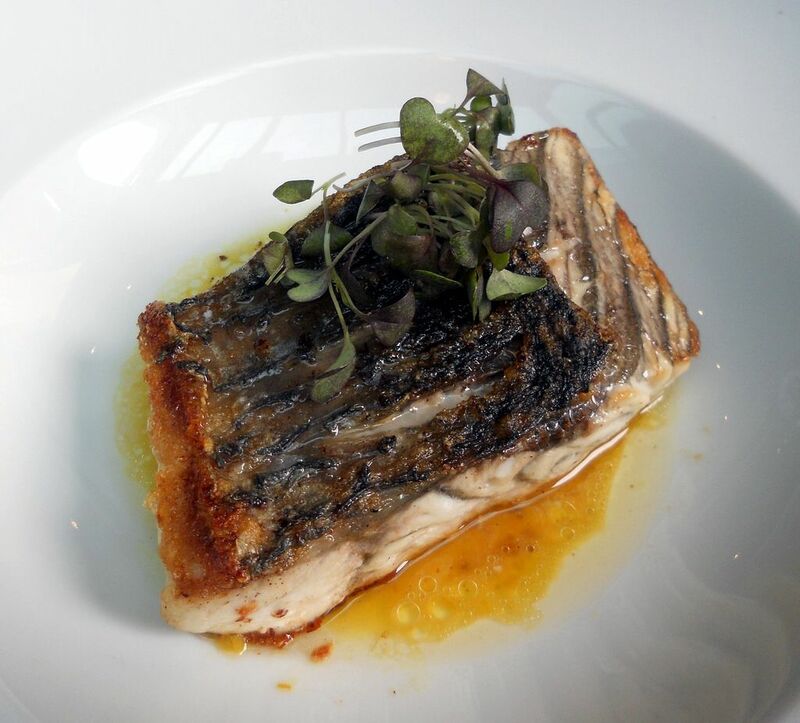 Barramundi has a delicate texture and a sweet, mild taste. It is an excellent substitute for red snapper, grouper or Chilean sea bass. Why it's sustainable: Barramundi in the United States are raised in environmentally sound, closed recirculating tank systems which are clean ways to raise this fast-growing fish. Farm-raised fish have gotten a bad rap in previous years, but the industry has come a long way in developing technological advances that create clean environments for the fish. Cooking Barramundi: Barramundi is very versatile and can be fried, grilled, barbecued, steamed, wrapped in foil and cooked on coals. Sardines have a rich, strong flavor that is sometimes minerally. They come packed in cans, of course, but fresh sardines are fantastic. Why it's sustainable: Overfished in the past - wild, Pacific sardines are making a huge comeback (avoid the Atlantic variety). Sardines are caught with little impact on the surrounding environment and involve very little unintended catching of other sea creatures. They are fast growing and contain no contaminants. Cooking Sardines: Whole sardines can be cooked on the grill (be sure to remove the scales and guts). They can also be filleted and baked or made into a Mediterranean ceviche with salt, olive oil, and lemon juice—more ideas with sardines. Fresh oysters, clams, and mussels have a clean, crisp, and briny taste like the sea with high levels of Omega-3 and vitamin D.
Why it's sustainable: Choose farmed varieties which don't harm marine environments. Shellfish farms are beneficial to the environment because they filter water. They also provide essential habitat for other marine plants and animals. Farmed oysters account for 95 percent of the world's total oyster consumption. Farmed clams today account for 89 percent of world clam consumption. 90% of mussels are farmed. Cooking oysters, clams, and mussels: Oysters are delicious raw. These shellfish can also be grilled, steamed, broiled or cooked in a braise or stew. Mackerel is very popular in Europe, especially Great Britain and Scandinavia, and the Japanese love it for sushi but it is just catching on in America. Health-wise it's very high in Omega-3 and low in mercury. Why it's sustainable: The majority of mackerel fisheries are in the north-east Atlantic have been certified as environmentally responsible by the Marine Conservation Society. To ensure the mackerel you buy is from the most sustainable fisheries, look for handline or drift net fisheries. Cooking mackerel: A fatty fish, mackerel can be prepared by broiling fillets or roasting the whole fish until fork-tender. It's also great on the grill. Arctic char with a rich, subtle flavor is a good substitute for salmon and trout (it's a distant relative). Why it's sustainable: Most Arctic char in the United States is farm-raised in land-based, closed systems with recycling systems. There is a low risk of pollution and habitat effects. Cooking Arctic Char: Because of its fatty texture, arctic char adapts to a variety of cooking methods and is hard to overcook. Pan-searing is a very popular method. Leave the skin on - it crisps up nicely. It goes well with white wines. Wild salmon is a classic staple of the chef's kitchen and much superior in flavor to the farmed variety. It's loaded with nutrition including beneficial Omega-3. Look for these market names: Chinook, Coho, Chum, Keta, King, Pink, Red, Silver, Sockeye, Sake. Why it's sustainable: Wild Alaskan Salmon is very carefully regulated and watched over by a number of agencies. Most Alaska salmon populations are robust enough to withstand the pressure of commercial fishing. The fishing methods used do not cause much disturbance to the marine environment. Cooking Alaskan Salmon: Salmon works well with a number of cooking methods including poaching, grilling, and broiling. Smoked salmon (hot or cold) is popular in many places around the world. Sablefish, also called Black Cod, has a similar texture to Chilean sea bass with buttery, luxurious meat. It has almost 50% more Omega-3 than salmon. Why it's sustainable: Look for long-line caught sablefish from Alaska or the Canadian Pacific which is carefully regulated. Avoid trawl caught sablefish and long-line fish from California, Oregon, and Washington which results in bycatch of vulnerable species. In the near future, look for sablefish produced with commercial marine aquaculture. Cooking sablefish: Because of its high oil content, sablefish is suited to many cooking methods. Choose high, fast heat like grilling, roasting, broiling, and pan-searing or long, slow preparations, such as braising. Albacore tuna is subtle, white meat that can be flavored with practically anything, even strong flavors like lemon, black olives, tomatoes, and capers. The mercury that is typically found in tuna affecting human health is not found in troll or poll caught albacore tuna, which are younger and smaller. Why it's sustainable: Look for Albacore tuna caught by troll/pole from Canadian and US Pacific waters. Pole catching eliminates bycatch of species like dolphins. Cooking albacore tuna: Available fresh, frozen, canned and smoked, tuna can be enjoyed year-round. Albacore tuna has a more mild flavor than Ahi tuna but with the same meatiness. Don't overcook or it will dry out. Undercooking tuna or even raw is acceptable with high-quality tuna. The meat of the Dungeness crab is snow-white, sweet and juicy. Why it's sustainable: Dungeness is the best choice when it comes to crabs. Carefully managed with size limits and trap restrictions, Dungeness is harvested with traps, ring nets and even by hand using dip nets which limits bycatch. Look for Dungeness crab that is trap caught in Canada, California, Oregon and Washington. AVOID Dungeness crab that is trap caught in Alaska or Atlantic Dungeness crab. Cooking Dungeness Crab: Available live, freshly cooked, frozen or canned, this sweet and rich crab is great year round. The best way to cook fresh Dungeness crab is by steaming for 7 minutes per pound. Boiling is also acceptable—more tips on cooking Dungeness crab. Silver Hake (also known as Atlantic Whiting) is a wonderful white fish alternative to cod and haddock. Spain's favorite fish is gaining popularity with chefs in the States, look for hake to be the next trendy thing in restaurants. Why it's sustainable: Previously overfished, the silver hake is making a comeback in the North Atlantic. Stay away from silver hake fished south of Cape Hatteras, North Carolina The population there hasn't yet fully recovered and is still considered overfished. Avoid fish labeled "white hake." Cooking Hake: Hake has a texture similar to sole and is mild-tasting, even sweet. Hake can be substituted in dishes calling for pollock or cod. Excellent sauteed or lightly battered and fried, hake is very popular in Fish & Chips. How Do Restaurants Make French Fries so Crispy? What Turkey Should You Buy for Your Feast?